Uefa will not hold a presidential election until Michel Platini's appeal against his eight-year ban from all football activity is complete. The Uefa president, 60, was suspended by Fifa's ethics committee in December along with its president Sepp Blatter. They were found guilty of breaches surrounding a "disloyal payment" made to Platini, but the Frenchman has appealed to Fifa's appeals committee. 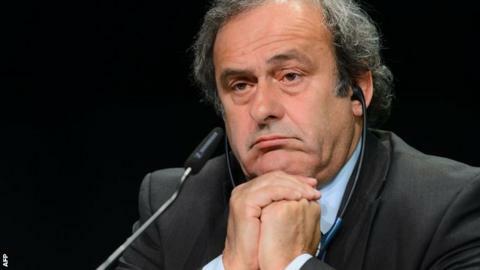 Platini has withdrawn from February's Fifa presidential election. A statement from European governing body Uefa said: "The Uefa executive committee decided there will be no Uefa presidential election scheduled until the sports justice appeal bodies, including potentially the Court of Arbitration for Sport, have taken a decision regarding Michel Platini's suspension. "We hope his name is cleared and that he can return to the European football family as quickly as possible."